As the US economy continues to rebound, the hydraulics market is keeping pace. After recent setbacks over the past few years, industry experts are predicting increasing momentum in worldwide sales over the next few years, with the global hydraulic cylinder market expected to reach $11.7 billion by 2018. The North American hydraulic cylinder market alone is expected to grow to $3.6 billion in the same time period. One area of particularly healthy gains is the mobile hydraulic cylinder market, much of it in the forestry industry, where environmental concerns and new regulations are driving the demand for safer, biodegradable hydraulic fluids and heavy-duty hydraulic cylinders to reduce failures and leakage. As a result of this increased legislative and consumer interest, hydraulics manufacturers and forestry industry original equipment manufacturers (OEMs) are actively seeking new solutions and engineered hydraulic cylinders to meet environmental demands. Construction is another industry driving up demand for mobile hydraulic cylinders as new housing starts and highway infrastructure upgrades trend up in the improving economy. Increased production of construction machinery such as excavators, steam rollers, backhoes, front-end loaders, concrete machines and other heavy construction equipment will increase sales of heavy-duty hydraulic cylinders along with it. While some North American mobile equipment OEMs will benefit from booming overseas sales in markets such as mechanized agriculture and material handling equipment, others will be hurt by the rising import of low-cost components and end products. Mobility OEMs who incorporate cheap, lesser quality hydraulic cylinders do so at their own risk as they face quality control issues, spotty reliability, and higher failure rates which can result in unhappy customers, lower profits, and even loss of market share. 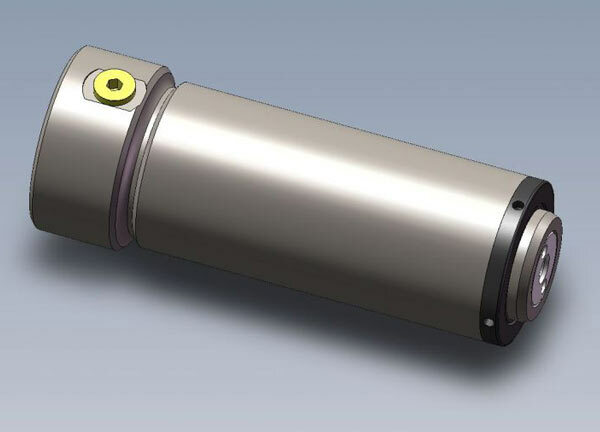 Subsequently, exports of high-quality, heavy-duty US hydraulic cylinders are expected to grow as overseas OEMs recognize the value of using better engineered and manufactured hydraulic cylinders and increase their purchase of high-quality, US-made hydraulic cylinders for use in their vehicles and equipment. To learn more about high-quality hydraulic cylinders and their use in a wide range of industries and applications, visit www.bestmetalproducts.com or call us at 616-942-7141.